SAGE is one of the leading, independent publishers in Religion. 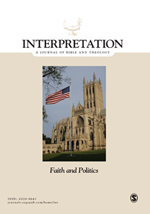 We publish journals from prestigious religious associations and our portfolio includes world-class titles such as Theological Studies, Journal for the Study of the Old Testament and Expository Times. SAGE Religion is a rapidly growing list, publishing journals on a wide range of religions and topics, from biblical studies and theology to mission studies and religious ethics. Bookmark this page and visit us again as we highlight the latest research in our journals. 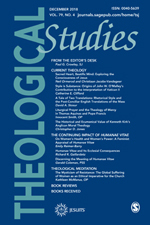 Founded and sponsored by the Society of Jesus in the United States of America, Theological Studies is a Catholic scholarly journal that serves the Church and its mission by promoting a deeper understanding of the Christian faith through the publication of research in theological disciplines. Since 1947, Interpretation has offered pastors, scholars, and theologians a valuable resource for study, preaching, and teaching. Each issue explores a theme or biblical book with writers who have relevant expertise. Four to five major articles, "Between Text and Sermon" essays, and book reviews offer a variety of options for adding to and enhancing our readers' knowledge. 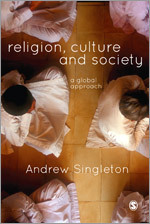 "Considers the ‘big questions’ - What is religion? How is religion changing in a modern world? What is the future of religion? – and addresses them through tangible case studies and observations of contemporary life. Its global perspective reflects the breadth, diversity and vibrancy of this field."